This week we have a wild episode with our buddy, Sean. We talk Kentucky Derby, the Caps finally beating the Pens, Stormy Daniels, the Mets mistake, more time travel, and much more. Please rate, review, and subscribe on itunes and most other podcast apps. 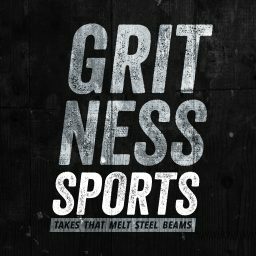 Follow us on Twitter (GritnessSports) and Instagram (Gritness_Sports).